As you may have guessed, March is blues month here at Noteheads, and this week’s entry is a blues doozy. “Three or Four Shades of Blues” is the centerpiece of the Charles Mingus album of the same name, recorded in 1977 when the composer was suffering from ALS and could barely play bass. As a result, George Mraz and Ron Carter ended up recording his parts on a number of studio sessions. The composition contains multiple blues forms loosely stapled together, but the influences of bebop, classical, church and Latin musics combine to make a whole that is undeniably Mingus. The extended form provides a unique solo space for everyone involved (except drummer Dannie Richmond), and pianist Jimmy Rowles gets a particularly long feature early on. 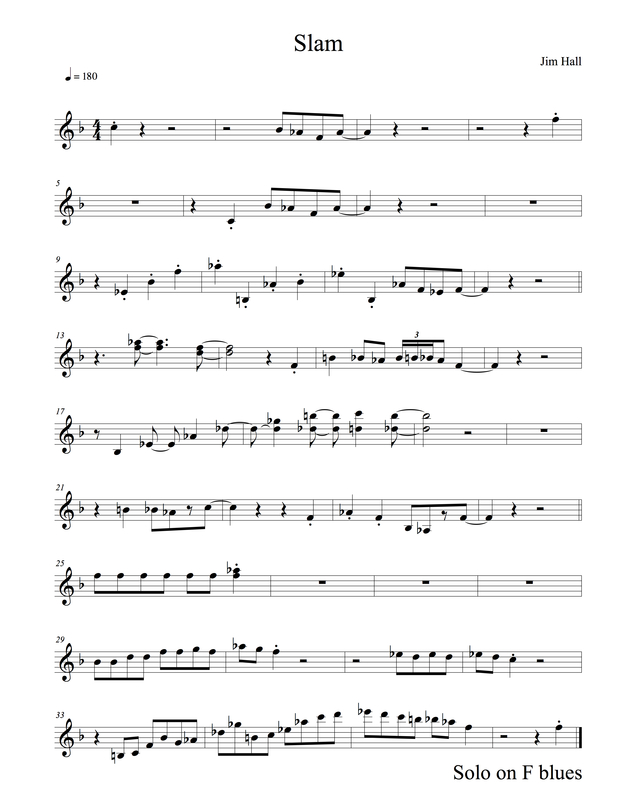 This entry was posted in Uncategorized and tagged Charles Mingus, jazz, lead sheet, music, Noteheads, Three or Four Shades of Blues, transcription on March 26, 2015 by noteheads. A rare E major blues by trumpeter Buck Clayton. 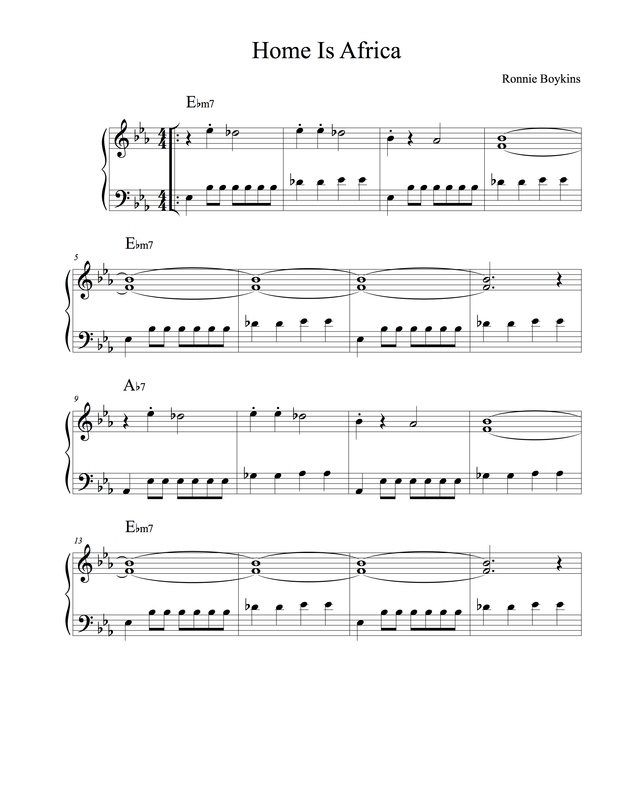 This entry was posted in Uncategorized and tagged Buck Clayton, jazz, lead sheet, music, Noteheads, Outer Drive, transcription on March 20, 2015 by noteheads. I found this song on pianist Horace Parlan’s Happy Frame of Mind. I love his unique bluesy style, but he is underappreciated today, partly because after cutting this album in 1963 he grew disillusioned with the jazz scene and with American politics in general. This was Horace’s last recording before he moved to Denmark. It features his former Mingus bandmate Booker Ervin and future Mingus sideman Johnny Coles, each underrated talents in their own right. The tune is by bassist Ronnie Boykins, who is not on the record. 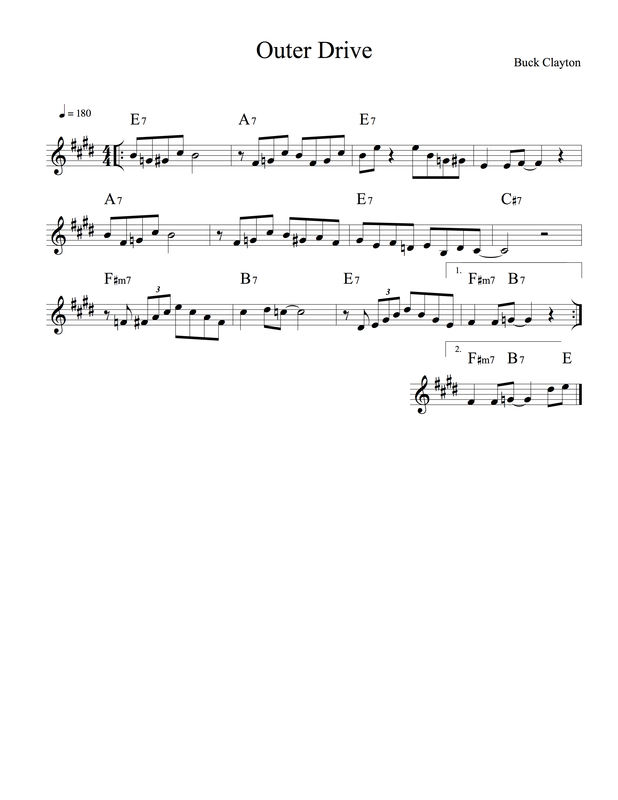 This entry was posted in Uncategorized and tagged Home is Africa, Horace Parlan, jazz, lead sheet, music, Noteheads, transcription on March 13, 2015 by noteheads. “Slam” is a fun blues by Jim Hall. On his live record Grand Slam each band member takes a turn ad libbing over the gaps while the others hold down the melody. Lewis Nash starts the tune, George Mraz takes the second pass, Jim the third, and Joe Lovano carries his chorus into a swinging solo. 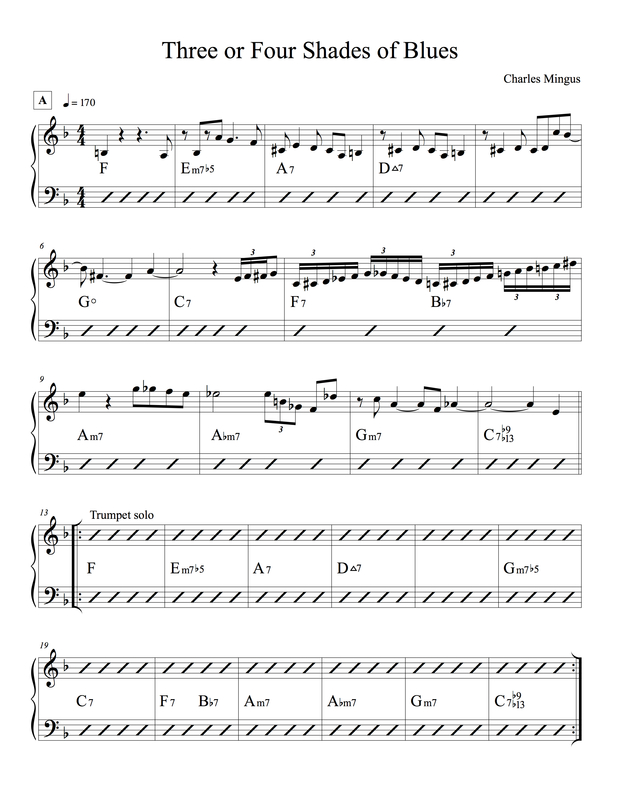 This entry was posted in Uncategorized and tagged jazz, Jim Hall, lead sheet, music, Noteheads, Slam, transcription on March 6, 2015 by noteheads.